WASHINGTON (CNS) — With the “ongoing political unrest, violence and shortages” in Venezuela causing millions of citizens to flee their country, the U.S. government should designate Temporary Protected Status for that country, U.S. Catholic officials said. The chairman of the U.S. bishops’ migration committee and the head of Catholic Relief Services urged this designation be put in place for 18 months in a letter to Secretary of Homeland Security Kirstjen Nielsen and Secretary of State Michael Pompeo. A copy of the letter was released late April 4 by the U.S. Conference of Catholic Bishops. “There is no current TPS designation for Venezuela. 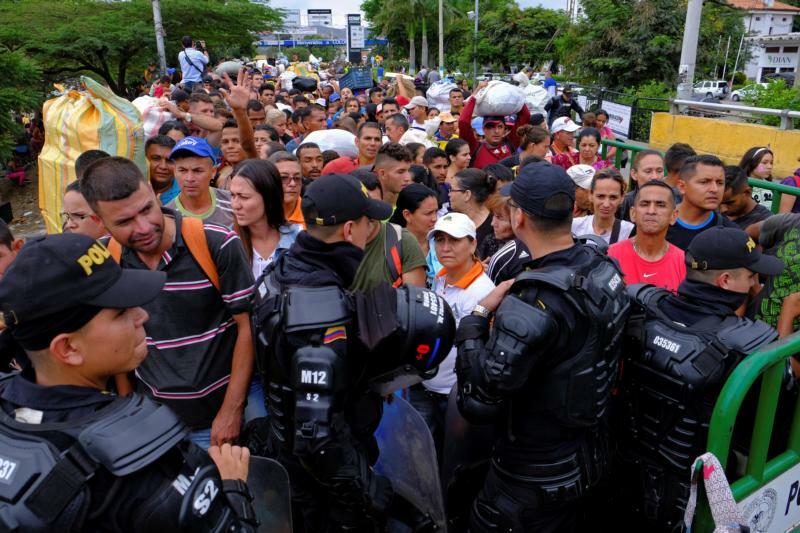 However, conditions in the country and existing political instability have created a situation in which Venezuelan nationals cannot be safely returned home at this time,” wrote Bishop Joe S. Vasquez of Austin, Texas, who is chairman of the USCCB Committee on Migration and Sean Callahan, CEO of CRS, which is the U.S. bishops’ overseas relief and development agency. TPS is a temporary, renewable, and statutorily authorized immigration status that allows individuals to remain and work lawfully in the U.S. during a period in which it is deemed unsafe for nationals to return to their home country. “As you well know, while stability in Venezuela has been tenuous since 2015, it is continuing to deteriorate at an alarming rate,” they said, pointing to the State Department’s own “do not travel” advisory issued March 12, 2019.